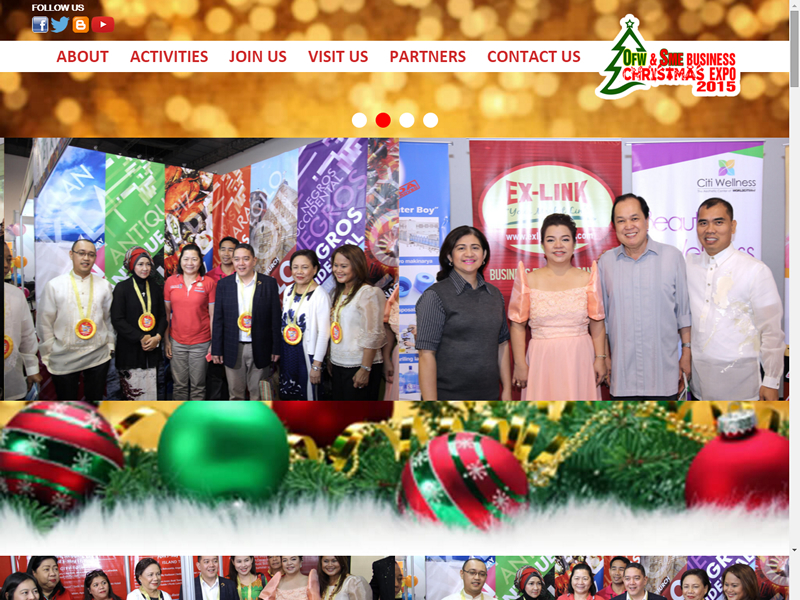 OFW & SME Business Christmas Expo is a 2-day Event dedicated to all Balikbayans and Small and Medium Enterprises (SMEs) and Entrepreneurs. This big event will serve as your local connection to explore business opportunities, enhance networks, exchange views and ideas, learn the latest SME market trends on Christmas Season and chance to promote products and services. Web development, web hosting, website management and administration, content management system (wordpress), bing webmaster, google webmaster and google analytics implementation.